The first ever high end foundation that I bought with my OWN money, so proud of myself! I had heard SO much about this foundation, bloggers and youtubers made the Make Up Forever HD Foundation sound like it was the best thing ever with amazing coverage and possible cancer cure finding capabilities. Ok, maybe that last part was a slight exaggeration... Due to this crazy hype, it was on my every growing list of makeup products to try out. Ever since I started shooting in HD for Duniati on Youtube, I noticed that my current selection of BB, CC, and light foundations were just NOT doing the job with covering the crap on my face. Mama needs to look, flahw-less on cam! I finally decided to bite the bullet and shell out 50$ for this MAGIC foundation. When I got the product tested on my face, the makeup lady packed it on me (possibly 3 thick layers with a weird stippling brush)! As I looked at my face, I was shocked by how not so cakey it looked. I mean, it did look like I have foundation on, duh. But it didn't look as thick as I thought it would since I had THREE layers on. Once I tried it at home though it was a whole other experience. Application: I tried applying the foundation with three methods: Real Technique Expert Face Brush, sponge, and fingers. I found that fingers and sponge applied the best. Although I think a stippling brush would be perfect for a more opaque look. Consistency + Coverage: The coverage was not as crazy as people made it sound. 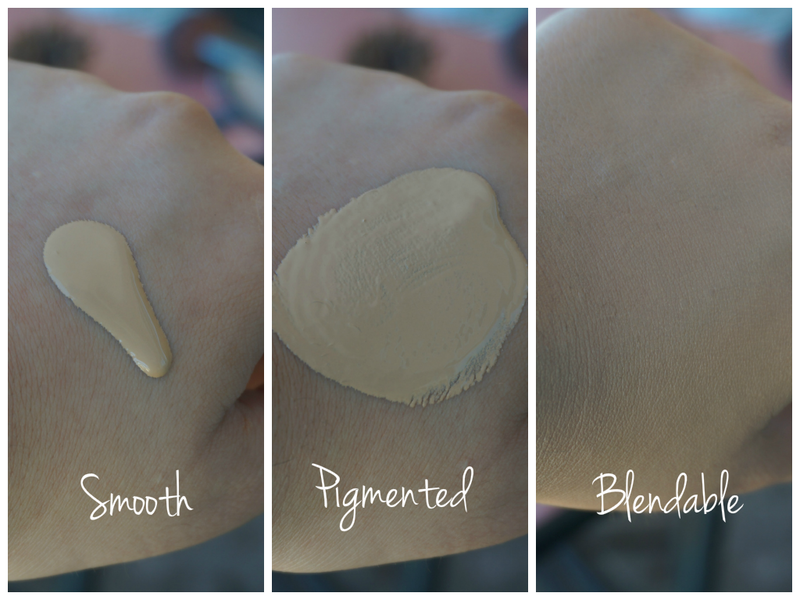 The consistency of the foundation is creamy but liquidy, it applies lightly over the face. It is oil-free, which is awesome for combination/oily skinned people like me. You can play around with the coverage which is awesome, a small pump for a more sheer look, two pumps for more coverage. I also found that when you layer on the product it still manages to look decent. 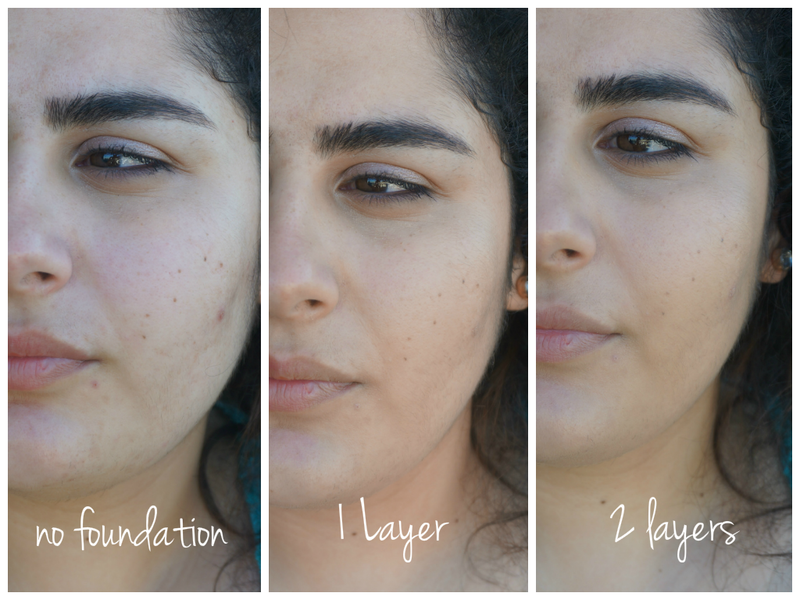 With 2.5/3 layers you get very high coverage, with only the most horrible spots slightly peeking through. At the end of the day though, you skin looks like skin and it photographs well! Shade range: There's a long list of shades to choose from, even though not all are available in Lebanon. I was first matched with a darker shade that was probably two shades darker than my face (but matched the rest of my body). I opted to go for a lighter more natural shade though which is N125. Staying power + Finish: I tried the foundation without powder and with powder, both times the staying power was awesome. You don't have to particularly set the foundation because it has a very natural finish (not too glowy, not too matte). Conclusion: I love it. It's like having a light, medium and full cover foundation all in one. The shade is a PERFECT match for me. It lasts a looooong time, and doesn't move around during the day. All in all, highly recommend! 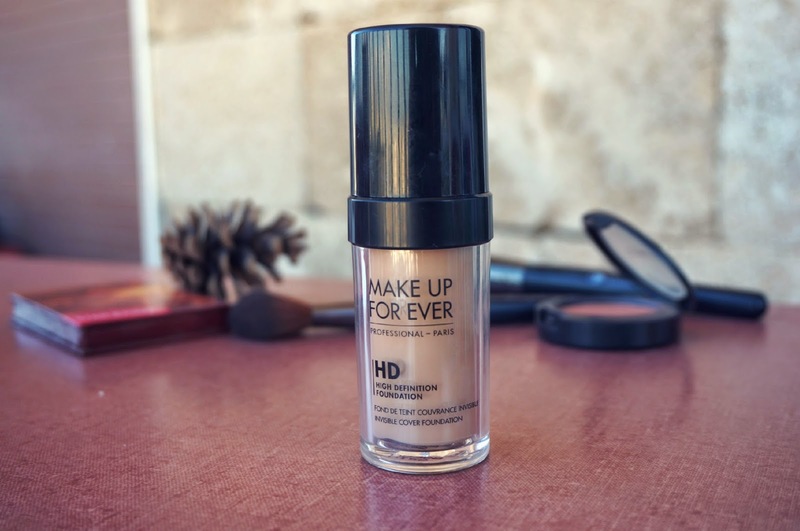 Have you tried out the Makeup Forever HD Foundation before? This is my favorite foundation! you should also try their powder, the Makeup Forever Pro Finish!